There is a new undisputed UFC middleweight champion. Just over a month after winning the belt, Georges St-Pierre has vacated the UFC middleweight title to focus on his health after he was recently diagnosed with colitis, which will keep him out of action for an undetermined amount of time. With St-Pierre sidelined, he has decided to surrender the middleweight title to allow the division to move forward without him. Now that St-Pierre has vacated his title, Robert Whittaker has been promoted to undisputed champion after first winning the interim belt back in July with a victory against Yoel Romero. Whittaker will now get the chance to defend his title against former champion Luke Rockhold in the new main event for UFC 221 on Feb. 10 in Perth, Australia. Whittaker is currently riding an eight-fight win streak including seven victories in the middleweight division. 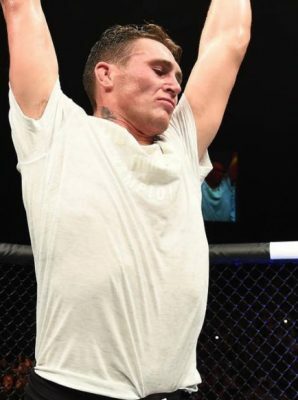 The former “Ultimate Fighter” winner has put together one of the most impressive resumes at 185 pounds with recent wins over Romero, Ronaldo “Jacare” Souza and Derek Brunson. As for Rockhold, he takes the fight after returning to action in September with a second round submission victory against David Branch. It was Rockhold’s first fight back after losing the middleweight title to Michael Bisping at UFC 199 in June 2016. Now Rockhold will attempt to win back the belt while taking on one of the most ferocious middleweights in recent UFC history.